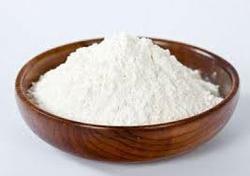 Keeping in mind the diverse requirements of the clients, we offer a wide range of Maize Starch Powder. It is mainly used processing industries. Obtained from the endosperm of the kernel. Established in the year 1984 at Chittorgarh, (Rajasthan, India), we “Shree Shyam Industrial Connections” are a Sole Proprietorship Firm and renowned Manufacturer and Wholesaler of a high quality array of Maize Starch Powder, Sodium Sulphate, Caustic Soda Flake, Chemical Compound, etc. Under the guidance of our mentor “Vikram Sharma (Owner)”, we have been profitably expanding our business throughout the country.